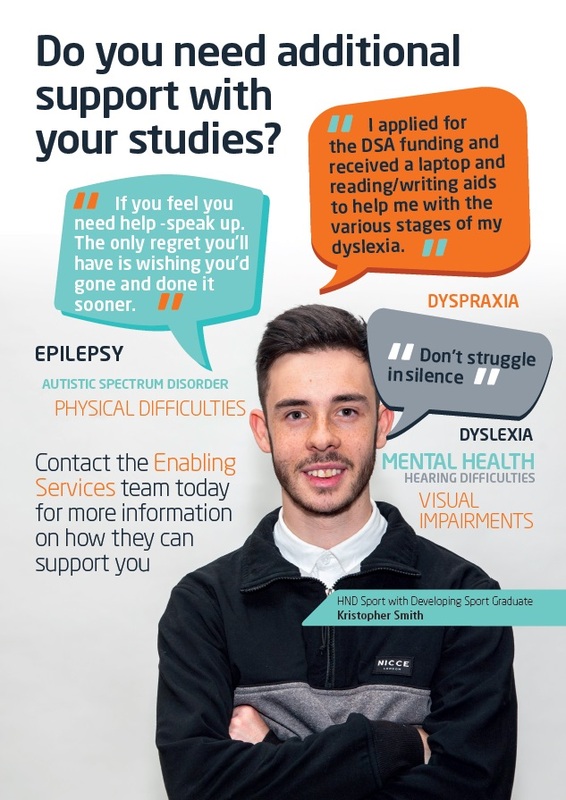 Enabling Services is a service for every student who may benefit from extra help or support during their studies – either on an on-going basis or at key times during your studies at our college. We operate a ‘self-referral’ system. Even if you are not sure, it is worth emailing or telephoning us to find out if we can assist you with your studies. We can provide bespoke, discreet, out of class support. Extra time for assessments and exams.